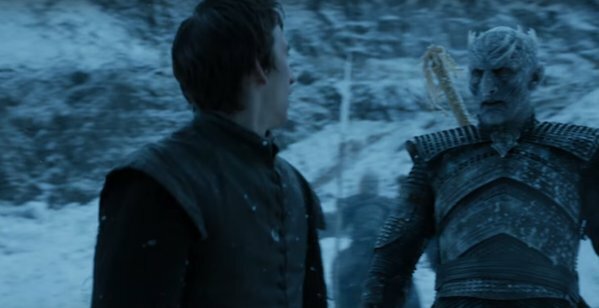 The first Game of Thrones season 6 trailer is here! Watch it below! So, that was pretty epic. Set to a cover of Chris Isaak’s Wicked Game, we see a montage of violent shots, with everything from a dead Jon Snow lying dead in Castle Black to Bran being confronted by a White Walker! Yes he’s dead – but for how long! Ser Davos says he’s gone, but we’re sure there’s more to it! In another scene, we see Cersei choosing violence in her trial – a trial by combat! Daenerys doesn’t look like she’s having a great time either though and it seems as though she’s been imprisoned by the Dothraki as she walks with a solemn expression on her face.